JGoodies offers freeware, products, and services for Java desktop developers. We focus on Java user interface design and its implementation in Swing. We provide training, consulting, libraries, example applications, desktop patterns, design templates, an application architecture, and a production process – all intended to help you work with Java desktop effectively and efficiently. We help you modernize your Java UIs to catch up with decent native styles (Windows 10, Material Design). And we assist you in the transition from traditional desktop client to single page web apps and other devices – both visually and technically. Our libraries and products help you build well designed, consistent views faster. 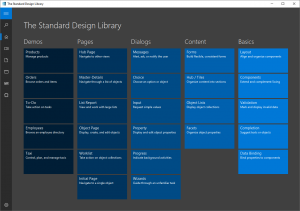 The Standard Design Library takes design to a new level; it dramatically reduces the time to get style guide-compliant pages, views, and dialogs – and many of them are already done. This makes a difference like hand-crafted vs. industrial production. The JGoodies Smart Client supports and advocates patterns, conventions, a desktop architecture, standardized design, and a unified design concept for Swing and JavaFX. 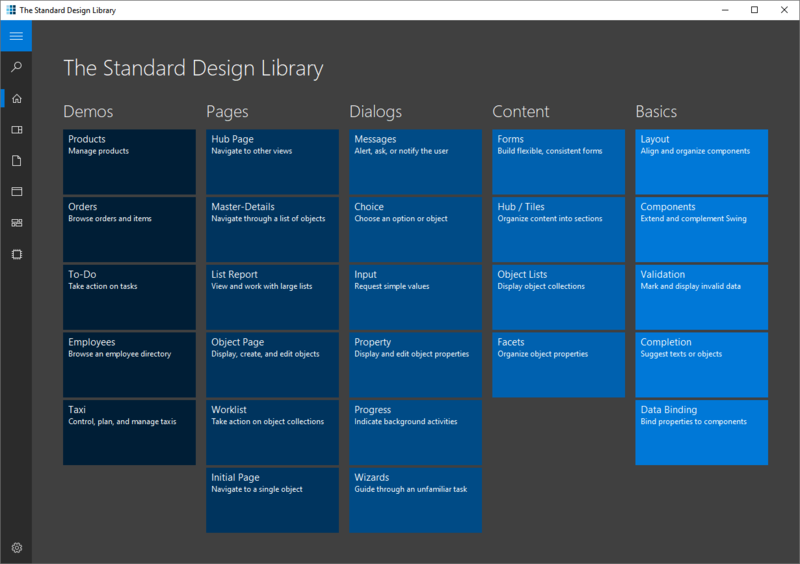 This implementation style makes your views and presentation logic easier to read and maintain. And it helps you embrace changes in the Java desktop world. You can use your favorite toolkit now, and can move over to modern Web front ends, later. We favor quality over quantity, a stable API over features, and work hard to deliver solid and reliable implementations for professional Software development and production code. We avoid hype – instead we try to understand and address your real needs.